What’s up beautiful girls? Having fun in Monsoon? You won’t believe, but I used to avoid foundation just because I didn’t how to prevent that cakey finish on the face and how to obtain a flawless look after a complete foundation application! But thankfully, there exist some easy rules which make foundation application easier leading to a desired look. I am going to share those essential rules with you. Here we go! Yes, you need to commence with the most basic thing, girls! 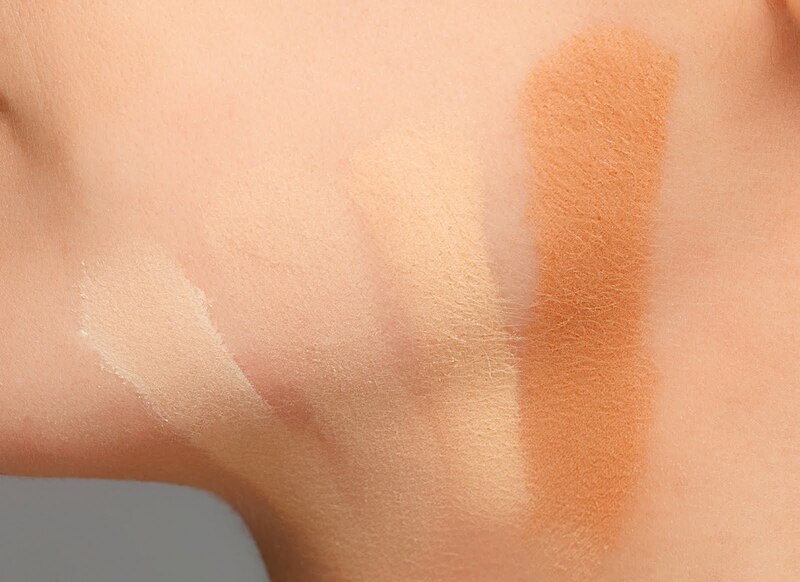 According to a survey, more than 60 % women pick wrong shade of foundation for their skin. The best way to decide a shade for your skin tone is to apply two or three shades of foundation on your jawline. Now, check in the sunlight which shade disappears the most. The shade which blended perfectly with your skin is the shade you are hunting for! Sounds weird, but it is important to consider weather while applying foundation because the state of our skin is quite different in various weather. So you must select different types of foundation in changed weather. For example, in winters the skin seems to be dry so it will be good for your skin to apply liquid or cream foundation in order to make it look more moisturised and dewy. 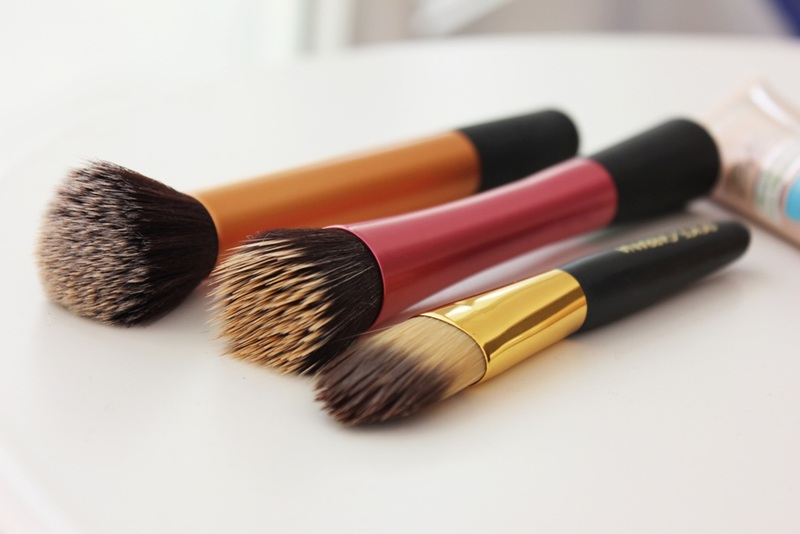 A broad buffed kabuki brush is supposed to be the most used brush for applying foundation. But, do you know that for a lifting effect to the skin, an angled brush which is usually used for contouring, is suitable. Experts suggest using a domed headed brush to the areas where it seems hard to reach while wearing foundation. Peach fuzz is the tiny colorless hair on your face or any other body part. The growth of such hair is usually downwards and especially on your cheeks. Now you can imagine that upward application can ruin it all by highlighting those hair. Applying downwards is the best way to apply foundation on cheeks. Dotting method is a nice way to wear foundation, but if you want medium to full coverage, you will have to change your way. Start with the centre point of your face which is nose. From this point, spread foundation in other directions like towards forehead, towards cheeks and towards the chin. And yeah, the most important thing – never skip neck and ear while applying foundation. What kind of coverage do you prefer the most in case of foundations? It becomes easier to obtain the desired foundation coverage with the use of different brushes. That regular foundation brush is okay, when you want a full coverage but for achieving a sheer coverage, you will need to consider a stippling brush. A buffing brush will go well for medium foundation coverage. Want a perfect foundation application that looks like airbrushed makeup, then don’t just think of skipping primer. A primer is mandatory for even complexion and a long lasting coverage. I use Colorbar Perfect Match Primer which is based on silicon based formula and I really love how it feels on my skin. Before you start applying foundation, just swirl the brush on the back of your hand at least for 30 to 40 seconds. This technique provides warmth to the bristles and thus helps in getting a more poreless finish. This really works. Do try this, girls! Fashion Myths and Rules We All Must Break!